Inspection work on the bridge structure by the DOT. 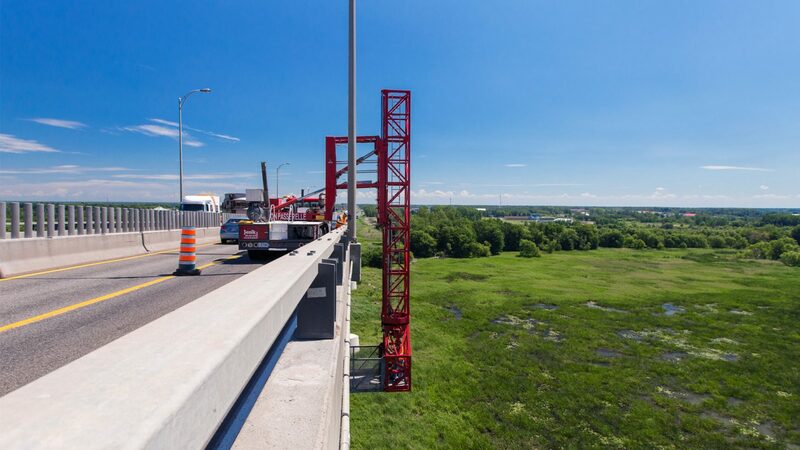 Performing such a task on the Laviolette Bridge brings many major challenges due to very high-velocity winds, heavy traffic and difficult access to the bridge structure due to the bridge’s numerous cross-section frames. In this project, our operators had to use the machinery to its maximum limitations to provide access to the structures on, and under the bridge. To provide access, our J-62A was the most appropriate unit for this particular project. We also regularly use our J-170/55M and J-210/66M depending on the client’s requirements in terms of adequate deployment lengths, to provide full under bridge access.